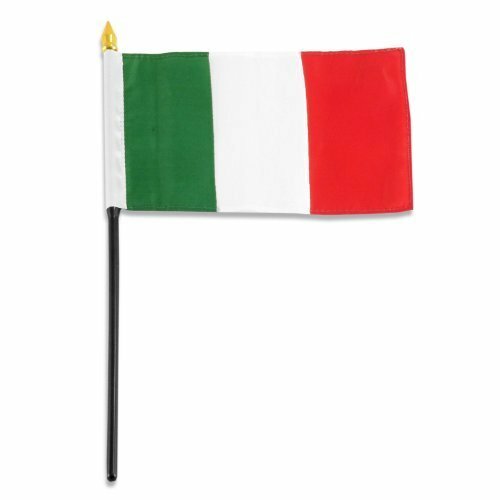 US Flag Store Italy Flag, 4 by 6-Inch by Online Stores Inc. This Italy stick flag is 4 x 6 and is mounted on a 10 inch plastic stick with a gold spear tip. This flag is more from polyester and is sewn around the edges. It is printed using bright colors to make a very attractive flag.